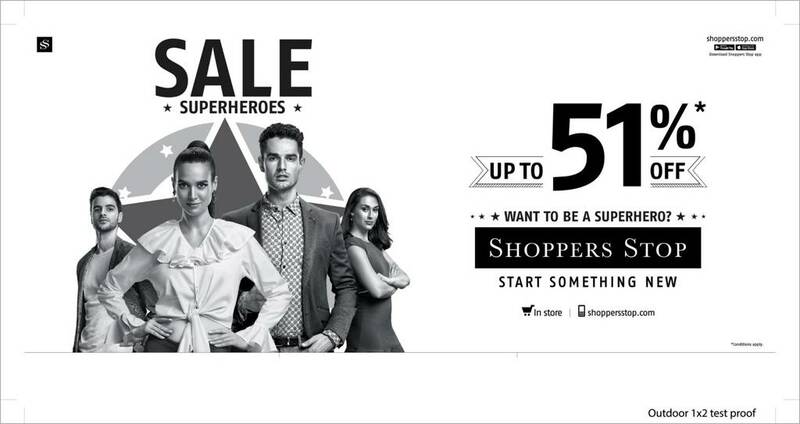 Mumbai, June 22, 2018: Be the ‘Sale Superhero’ this season with Shoppers Stop’s “End of Season Sale”. Starting June 23, 2018, enjoy up to 51% off on the best Indian and international brands across categories at Shoppers Stop stores, website and mobile app. Shoppers Stop First Citizen members can enjoy an exclusive preview of the End of Season Sale between June 20 to 22, 2018. Shoppers Stop offers a wide variety of products across categories such as apparels, footwear, watches, sunglasses, accessories, beauty products, bags & luggage and home décor. Moreover, Shoppers Stop Golden Glow First Citizens get an additional 5%* discount (as First Citizen Reward Points) on the nett prices of sale merchandise.